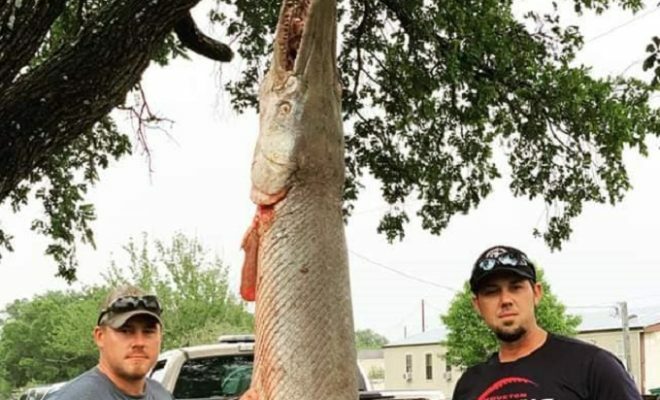 Two men from Cameron, Texas, caught a 7-foot-7-inch alligator gar in the Brazos River on Sunday, April 7, 2019. It was “the biggest fish” they had ever pulled in. John Williams and Mark Vornkahl, at first, believed their fishing line was caught on a rock, only to find it was instead an enormous, 198-pound fish. The alligator gar forced the pair to take some of their items out of their boat on shore and go back to try to reel it in. 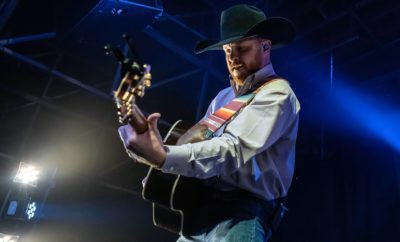 In an interview with Chron.com, Williams explained that the line “wasn’t moving at all. At first, we didn’t know anything was on there.” Their hot spot was near College Station, and the two men had no idea how massive this catch was until it yanked the line right out of Vornkahl’s hands. 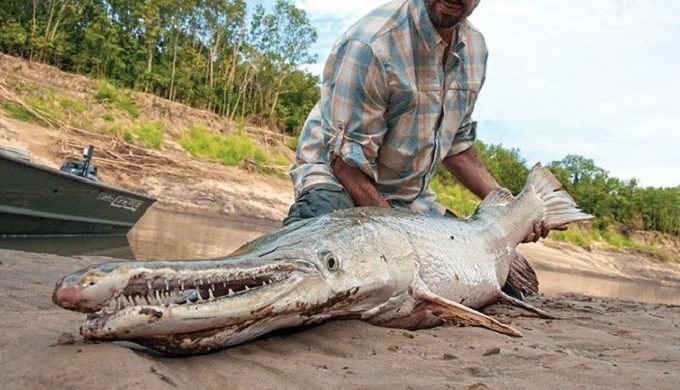 That’s when they caught their first glimpse of the alligator gar’s grandiose size and decided to leave it sitting there on the line in favor of making room in their boat. And it’s a good thing they did. The fish turned out to be 7-feet 7-inches in length! 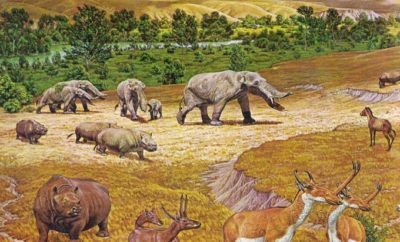 They gave the head to the Texas Parks and Wildlife Department, which will be determining its age, while the fishermen kept its meat. 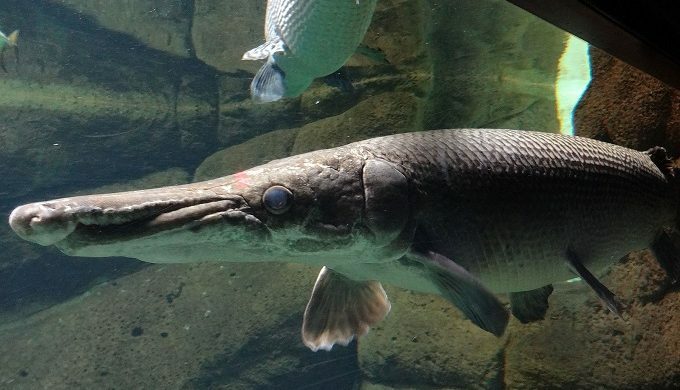 The Texas Parks and Wildlife Department’s website has indicated that some alligator gar can reach eight feet in length and weigh over 300 pounds. 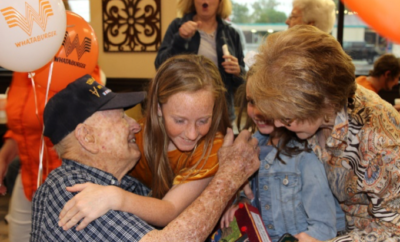 It also stated that a fish the size of that which Williams and Vornkahl caught could be approximately 40 years in age. To date, the record for the largest alligator gar to be caught was 327 pounds, and it’s held by an angler in Mississippi, from 2011. The state record for Texas was caught in 1953 and weighed 302 pounds. To ensure that the best freshwater fishing habits of the state are well-suited with the conservation of the alligator gar, in 2009 the TPWD imposed a one-per-day catch limit on the species. It seems this pair of anglers didn’t go home empty-handed nor disappointed with this day’s catch!